Looking to get on the road on a scooter or motorcycle? 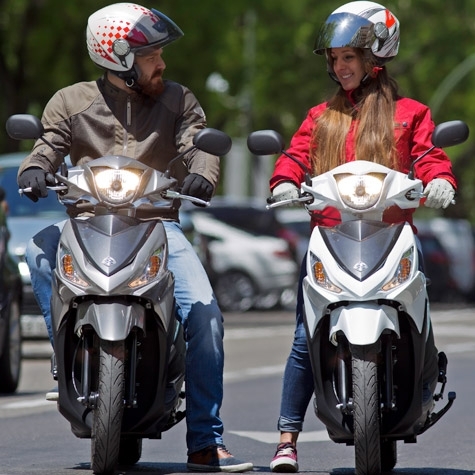 There are many benefits to commuting on a scooter, you're able to skip the traffic, say goodbye to high running costs due to the ultra high efficiency of the Address 110 with 145 mpg. With 0% finance, there's never been a better time to get on a new scooter and start making your daily commute easy, fun and cheap! That's not all, if you're starting from fresh, we're offering a free CBT too, so you don't have to worry about any entry costs. Just get on and ride, the way it should be. Click here to learn more about the CBT. Interested? See the full example for the Address 110 below or click here to see the scooter yourself, we're impressed by it. Finance is subject to status and is only available to UK residents aged 18 and over. Finance is with Suzuki Financial Services Ltd St William House, Tresillian Terrace, Cardiff, CF10 5BH.